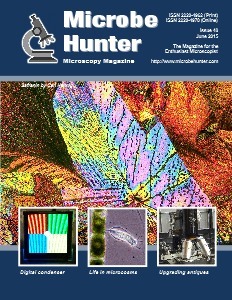 Microcosms allow you to do microscopy even during the cold winter months. Introducing a modified Abbe condenser with a digital display as a light source. The stain Safranin can by crystallized and observed under polarized light.